The long anticipated Adventure Bay Amusement Park opened to the public last year and was great fun and adventure for guests of all ages. 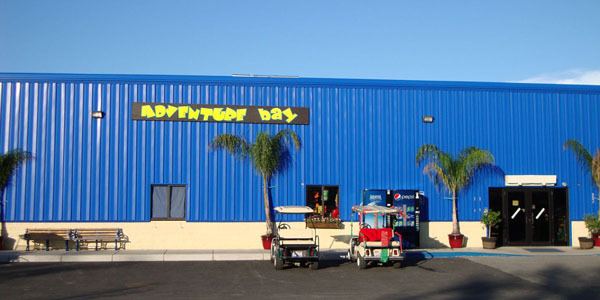 Just a few of the attractions include a redemption Arcade, Video Games and Ride Simulators, Brunswick's Virtual Bowling Lanes, Animaland Stuff your own Collectible Animal, Water Blaster Bumper Boats, Water Wars, Batting and Soccer cages, Sport fishing Simulator, remote control boats, kiddie rides and an electric go cart track! !